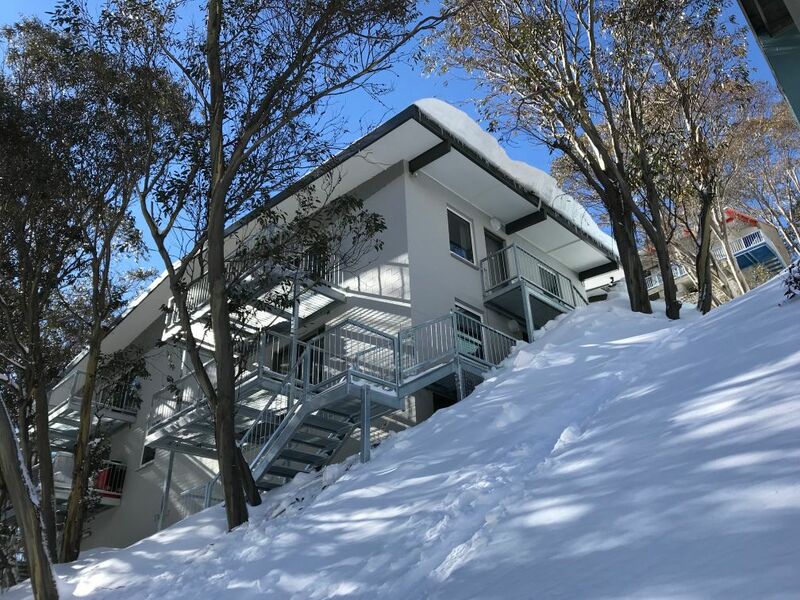 Langrenn Ski club is a small ski club that owns a two bedroom flat at Falls Creek. The club originated largely from a group of people who became known to one another from their association with the National Fitness Council of Victoria and the Mountaincraft Leadership programme. This group, after skiing, bushwalking and canoeing together over a number of years, were looking for a home to call their own. It was first thought that they might build a lodge themselves, but it was decided that purchasing a flat involved much less work. Proceedings were formalised in May 1972. The club had 30 members and purchased shares in Imaj, which gave them right of occupancy of Flat 4 in the newly constructed Imaj block of flats in Falls Creek Rd. Over the years there has been much work done: initially to set up the interior of the flat and to transform the basement into a useable storage and workspace. More recently the kitchen has been completely refurbished and flar recarpeted. While the refit was done professionally, the planning, demolition and repainting was done by the members. A regular maintenance programme over summer each year has ensured that the flat is always in top shape. Most of the original members still belong to Langrenn, although not all are as active as they once were. The club celebrated its twentieth anniversary with a weekend at the RACV Country Club and Healesville, and the 21st birthday with a dinner in Melbourne.